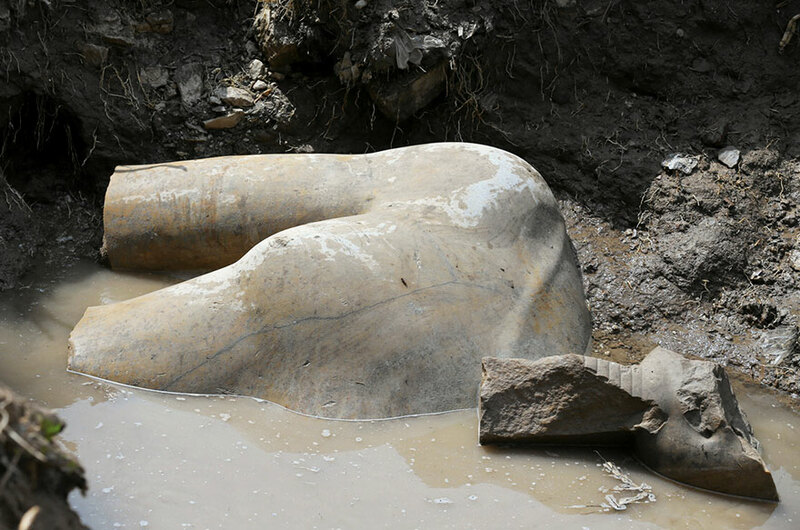 A team of German and Egyptian archaeologists made a colossal discovery on March 9th – literally and figuratively. Parts of a massive, 3000-year-old statue, which is believed to depict the legendary Pharaoh Ramses II, were found buried in the Cairo slum of Matariya. The findings tell an ancient story of the world’s origins, and could start a new chapter for Egypt. The recovered bust and head of the antique statue measure 8 meters in length and are made of quartzite. The upper part of a smaller statue, depicting Pharaoh Seti II (Ramses II’s grandson), and pieces of an obelisk bearing hieroglyphics were also excavated. Experts have already begun restoring the artifacts, which will later be displayed at the Grand Egyptian Museum set to open in 2018. Ramses II is often considered to have been the greatest Pharaoh to ever rule the Egyptian Empire, and he believed that the world was created in Heliopolis, modern-day Matariya. This latest unearthing of history could help to jump-start the Egyptian tourism industry, which has suffered greatly over the last 6 years due to political unrest and terror attacks.